See for yourself how outcomes like BAM Infra's are possible with the Mendix platform. Barriers to entry are continuing to lower, even in the most resource-intensive of industries. The largest, most prominent companies are at risk as new competitors — often technology- or digital-first organizations — recognize business opportunities in established markets. Companies that are unable to change their own business model succumb to these disruptors. BAM Infra has adopted low-code development and combined agility, responsiveness, and proactiveness to reinvent itself in an industry known for its rigidity. In going from disrupted to disruptor, BAM has thwarted new competitors from entering their market and is attracting up-and-coming software development talent. 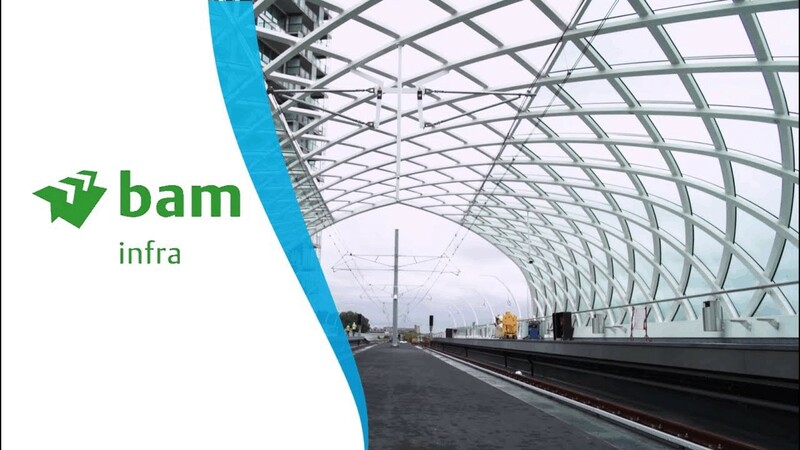 As the largest construction company in the Netherlands, BAM is involved in a plurality of the country’s infrastructure and construction projects. But having a ubiquitous presence doesn’t mean that the company is impervious to competition. That became obvious when the central government mandated that all grid operators provide smart meters to homes and businesses. BAM, being both a construction and infrastructure company, wanted to submit a bid but knew that the project required both installation capability as well as software orchestration and automation that were necessary to run the project. Complicating matters further, an established software vendor — a behemoth in its own industry — recognized the opportunity and submitted a bid for the work. But while the software vendor had the orchestration and automation capabilities, it did not have the capability to do the installation work — that would be contracted out to a third-party. “We included in our offer that we had a complete software package supporting the whole installation process from end-to-end: from receiving the order, preparing it, installing the meter, and billing it. All those phases of the project are in one piece of software — our BAM Road Solution for Field Workers. By including the software in our offer, we won the tender, and we also beat out our software competitor,” Verbiest says. As a result of winning the bid, BAM was chosen to install over one million smart meters in the Netherlands in a little over four years. “It’s a big, important contract for us. It’s very important for our business units to have this volume and the presence,” Verbiest explains. Mendix not only enabled BAM to fight off disruptors but allowed the company to become a disruptor itself. According to Bent Flyvberg of Saïd Business School at Oxford University, more than 90% of the world’s infrastructure projects are either late or over budget. With its deep industry knowledge coupled with the Mendix Platform, BAM is bringing solutions to market that solve operational inefficiencies that the industry has long struggled with. For example, the team built a financial application that provides a live view into the budget of a construction project so that construction managers can determine whether they have the resources to acquire materials or rent equipment. The application, Cash-U, shows live information from BAM’s S/4HANA database. This real-time visibility into costs and budget allows users to make on-the-spot business decisions based on available budget. The BAM development team also built an application for its environmental services division, named MAX , which conducts environmental reviews. The application rationalizes and automates a data entry process that was previously done manually by environmental services engineers. Thanks to the improved efficiencies, BAM now realizes six-figure savings annually. Mendix has further solidified BAM’s standing as a disruptor by enabling the company to achieve its digitization goals. “What has prevented us from becoming a digital company is time. It’s not the willingness of the people. It’s not the motivation of the company. It’s not in the funding. It’s really the time that it takes to make such a change,” Verbiest says. The time to market has increased so much for BAM, the development team has had to slow down their development timelines so that the business can keep up. By reducing development time, Mendix has empowered BAM to achieve speed and agility, difficult in an industry known for its inefficiency. “We built Cash-U in a couple of days, and we were able to show a working project to the stakeholders,” says Bijkerk. The time to market has increased so much for BAM, the development team has had to slow down their development timelines so that the business can keep up. “We now assign people to multiple projects simultaneously so that they’re splitting their time between projects,” explains Verbiest. By beating the software developer at its own game in the bid for the smart meter project, BAM has itself become a thriving software organization, attracting software development talent. Bijkerk, for example, was on the team that built Cash-U, and it was her first software development project in the professional world. “I studied computer science and information science, but I didn’t want to spend my entire days coding. A contact introduced me to low-code, and I found it super interesting. Because it’s so quick and agile, I can spend more time doing the things that matter in software development,” she says. An end-to-end software solution, from an end customer requesting a smart meter, to scheduling and logistics, to field service enablement for installers. Enables project managers on a construction site to make real-time business decisions based on current spend and available budget. Cash-U shows construction managers real-time budget information from BAM Infra’s S/4HANA database, enabling them to make sound financial decisions.